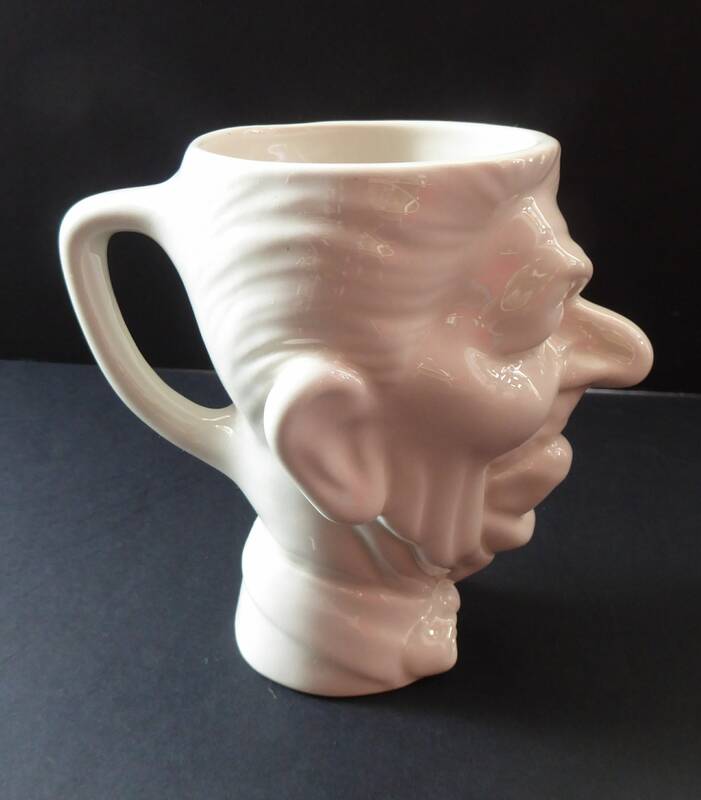 This is a rarer example from the series of ceramics made in the 1980s under license to Fluck and Law - the creators of the satirical puppets which appeared on the popular televisions show in the UK: Spitting Images. 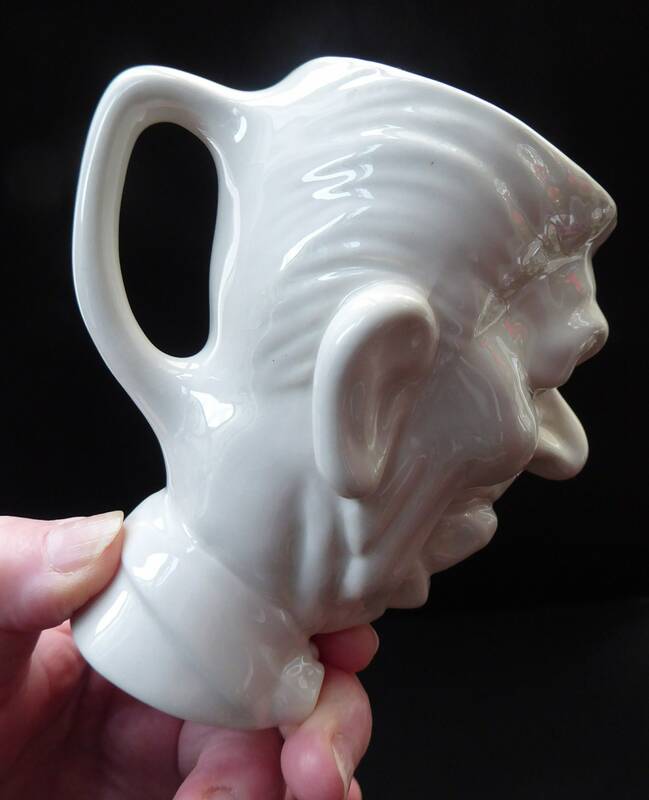 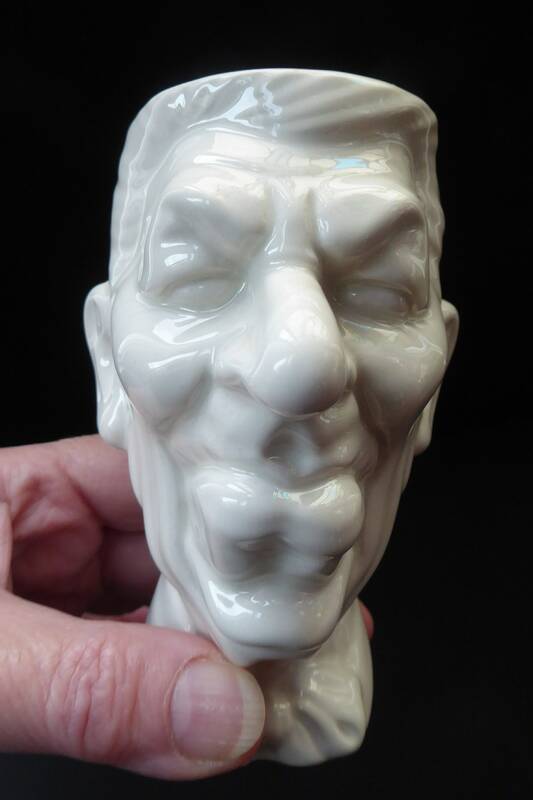 This one is a little cup or mug which takes the form of the US President, Ronald Reagan. 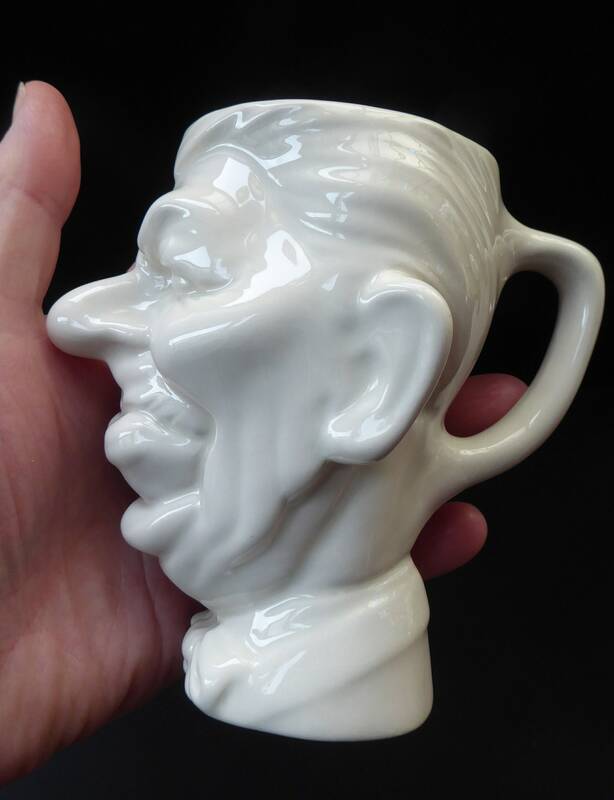 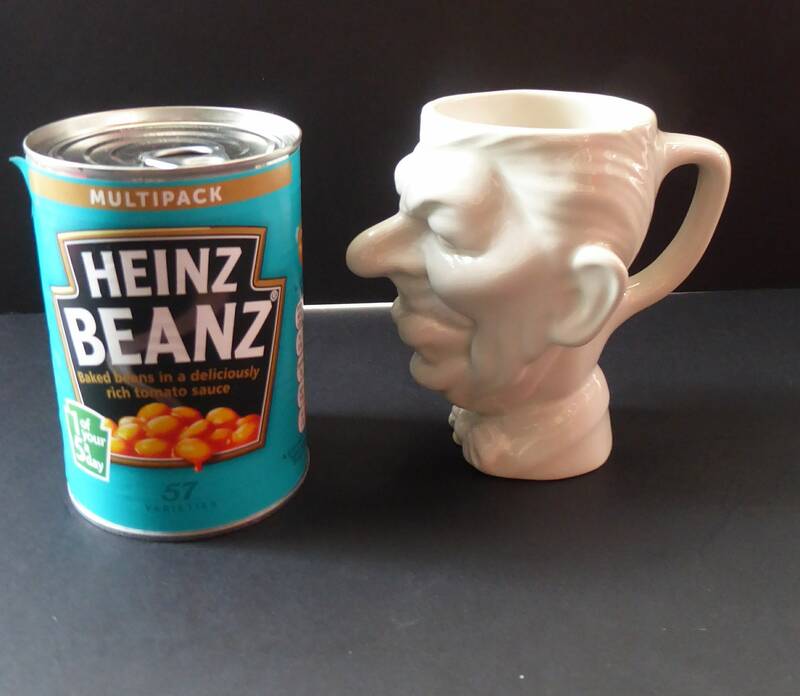 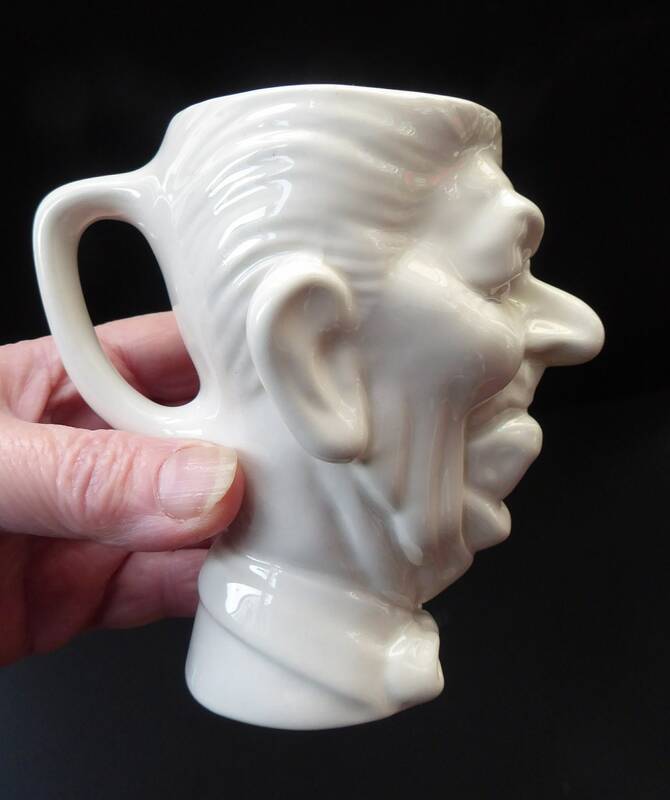 These little mugs featuring Reagan seem to be much rare - and now highly collectable and sought after by collectors of political ceramics and novelties. 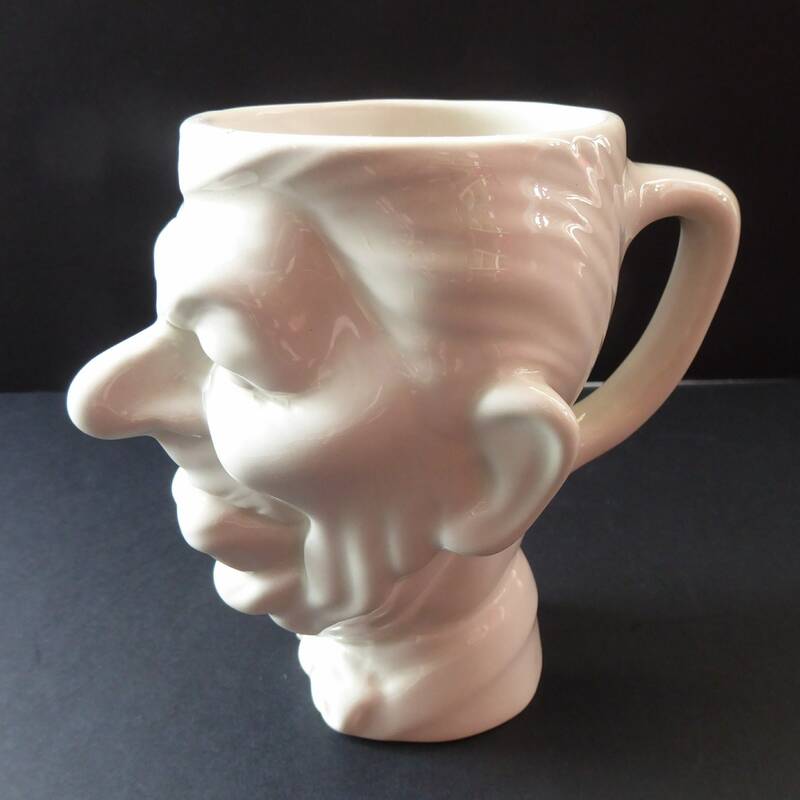 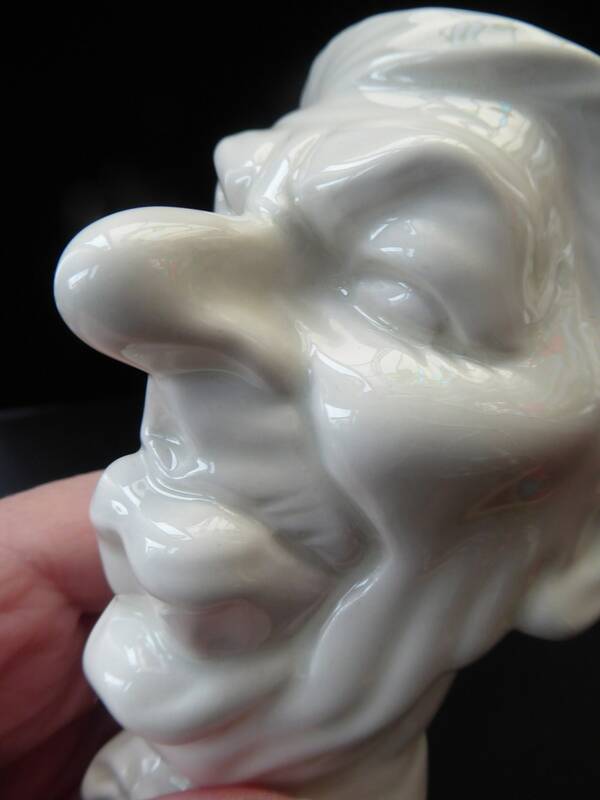 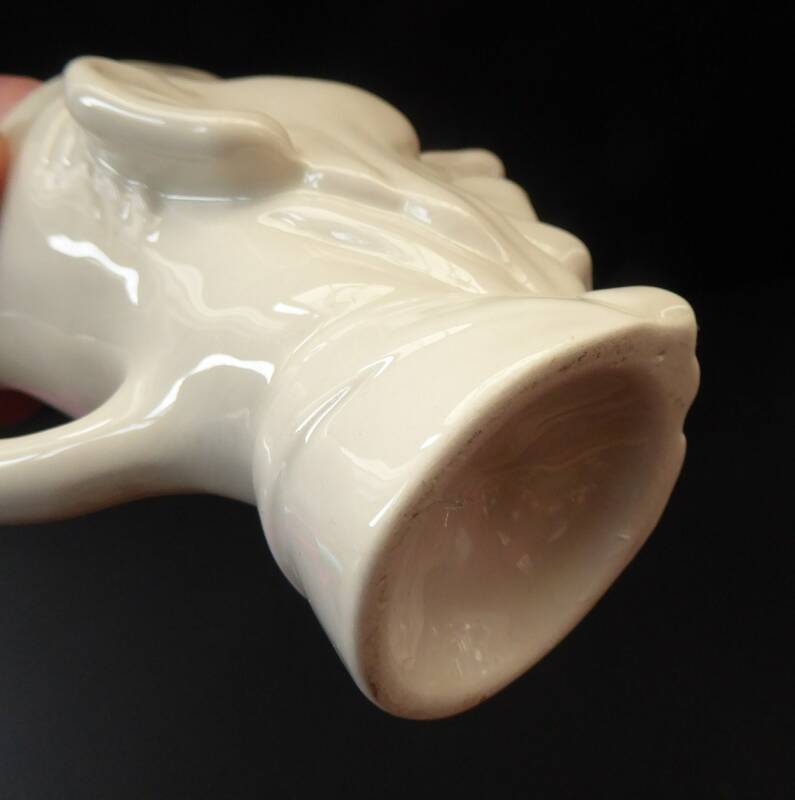 This mug is made of white glazed pottery - it is unmarketed and measures 11 cm in height. 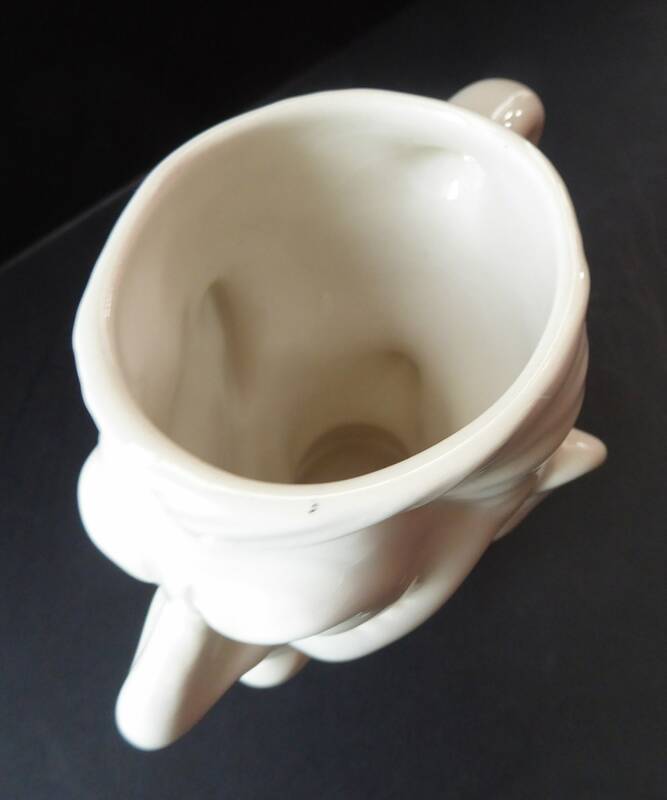 It is in excellent condition with no chips or cracks.